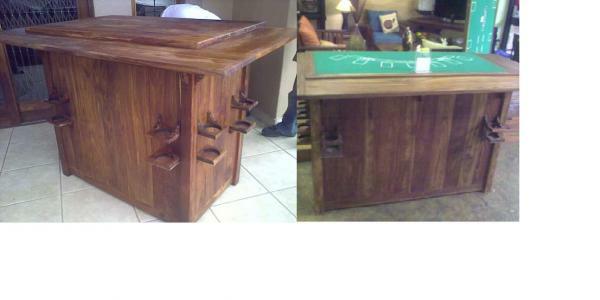 To use as a traditional bar, with solid top and drinks holder. Space for bar fridge, glasses and bottles at the back. For card players remove the top and enjoy a nice game of poker or black jack at the bar!